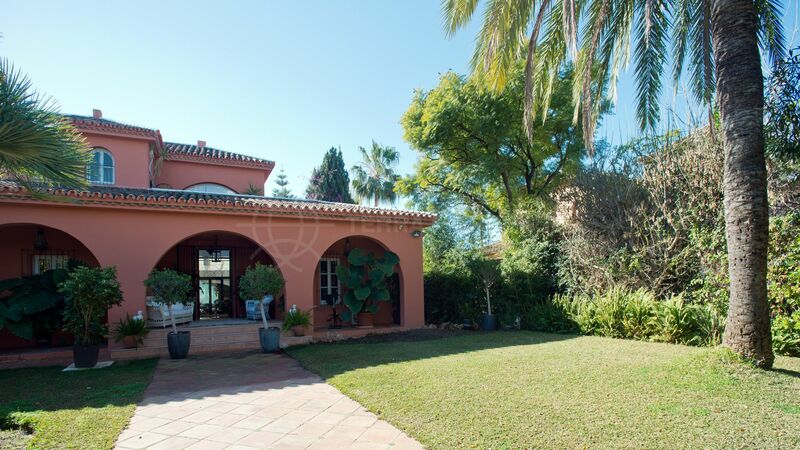 This stunning villa is set on a beautiful plot and is within walking distance to all amenities, in the lovely area of Aloha. 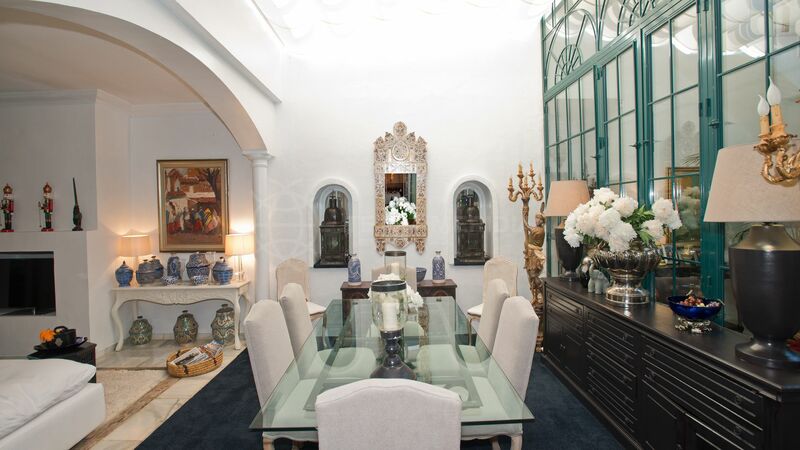 A wide double height hallway leads to a very large living room with an interior atrium providing an abundance of natural light and space for a separate dining area. 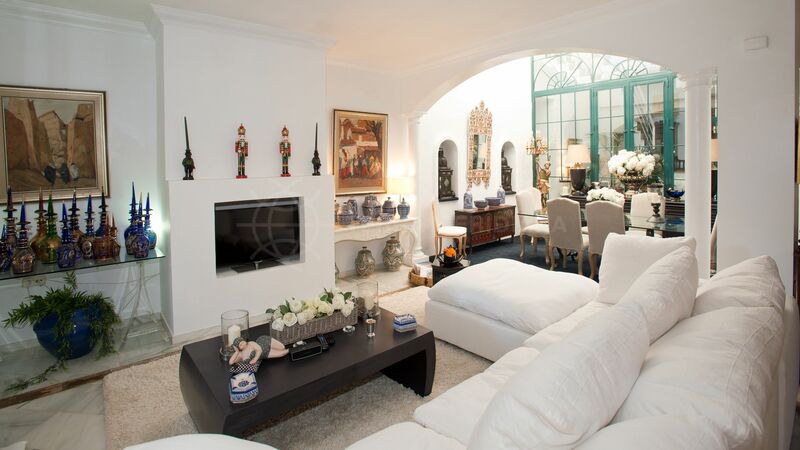 The living room has a fireplace and large French windows which connect to a large shaded terrace; there is access from the living room to a sizeable winter conservatory with access to the garden. 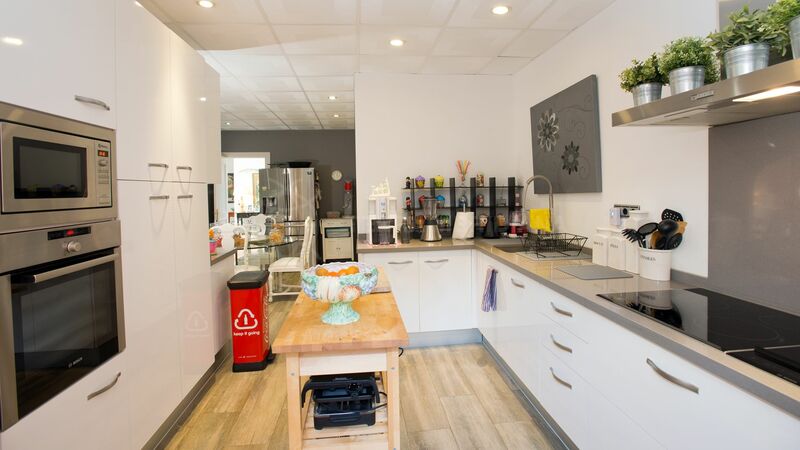 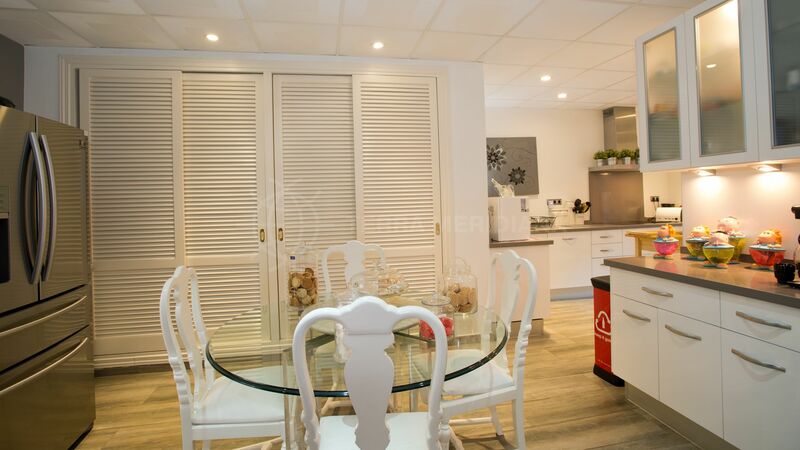 By the living room is a modern and recently fitted kitchen which has a pantry and separate utility room and access to the garden. 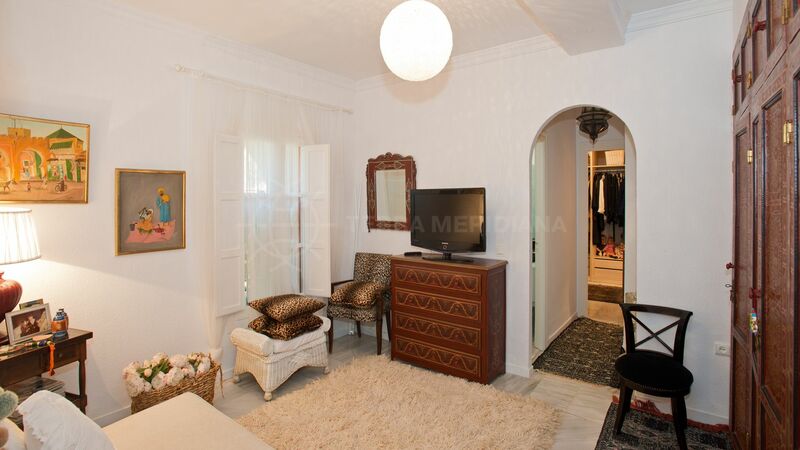 To the left of the hallway is a large bedroom suite with bathroom and a separate room currently used as a walk in wardrobe which could be converted to make a small staff apartment. 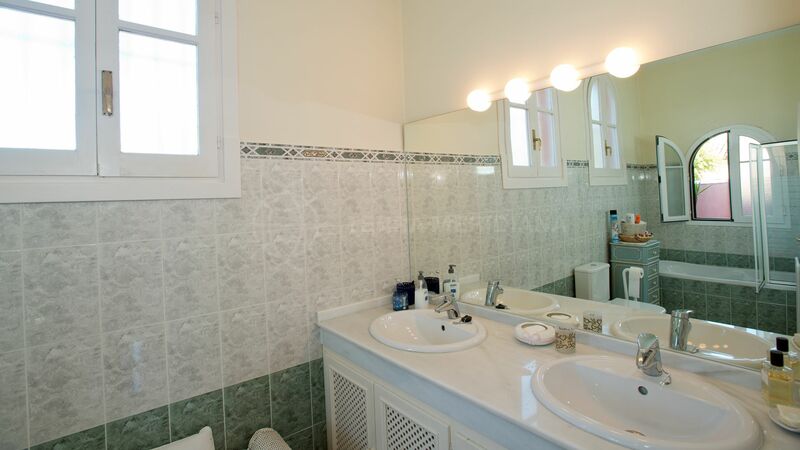 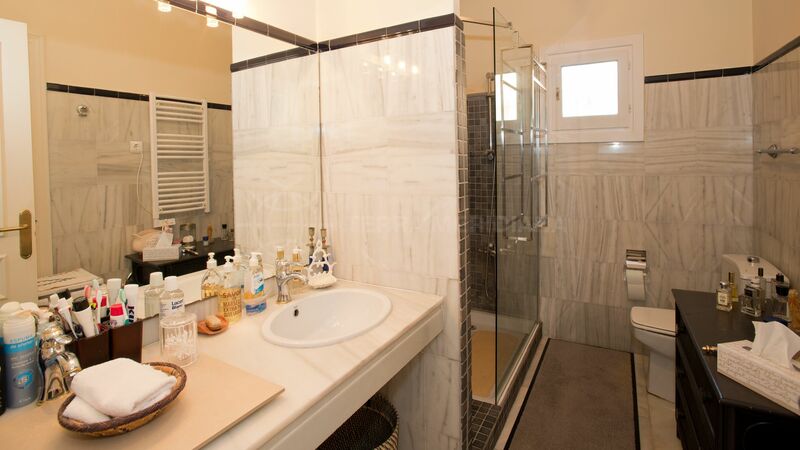 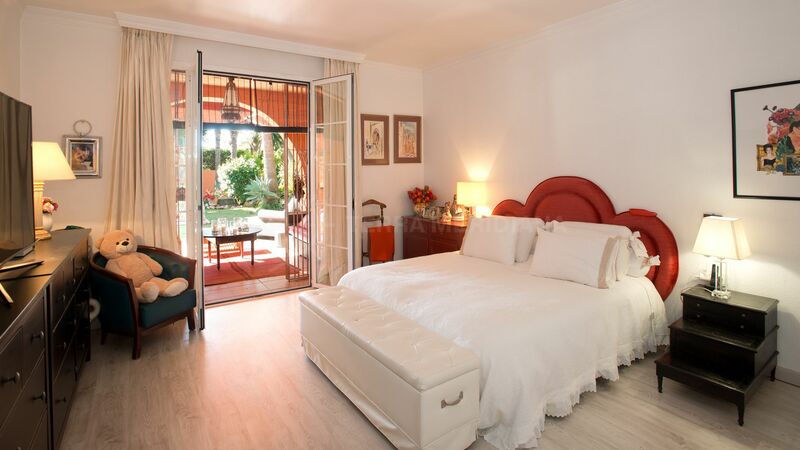 To the right of the hallway are a double bedroom and bathroom and a large master bedroom with separate bathroom. 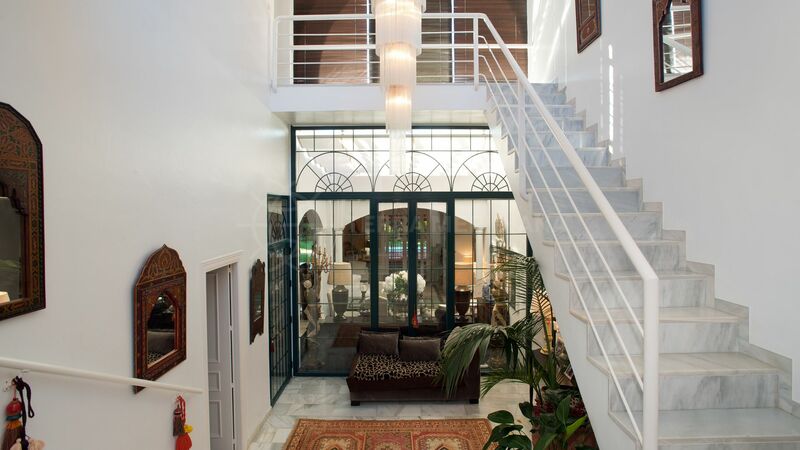 Stairs lead from the entrance to the 4th bedroom upstairs with en-suite bathroom and access to the roof terrace. 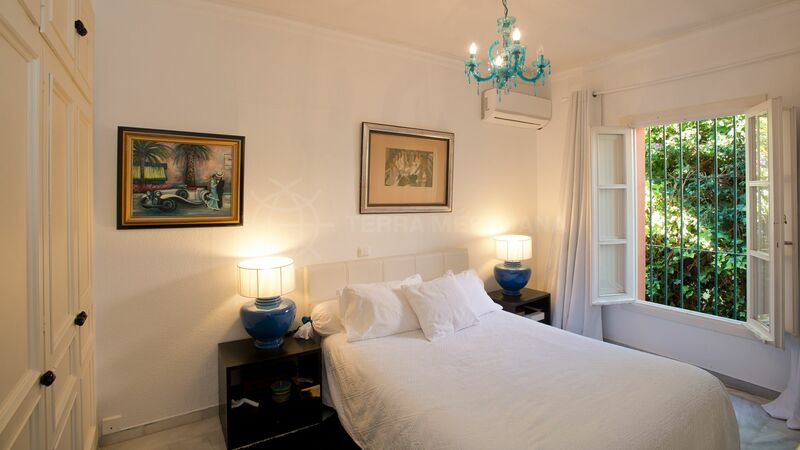 The villa could easily be extended to accommodate a further bedroom or two upstairs. 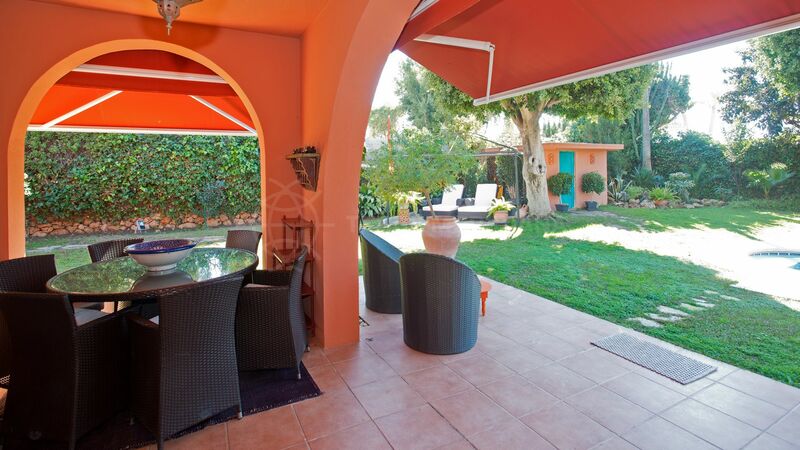 The property faces west and has a lovely mature garden and large swimming pool, close to the local shops and restaurants of Aloha and Aloha Pueblo. 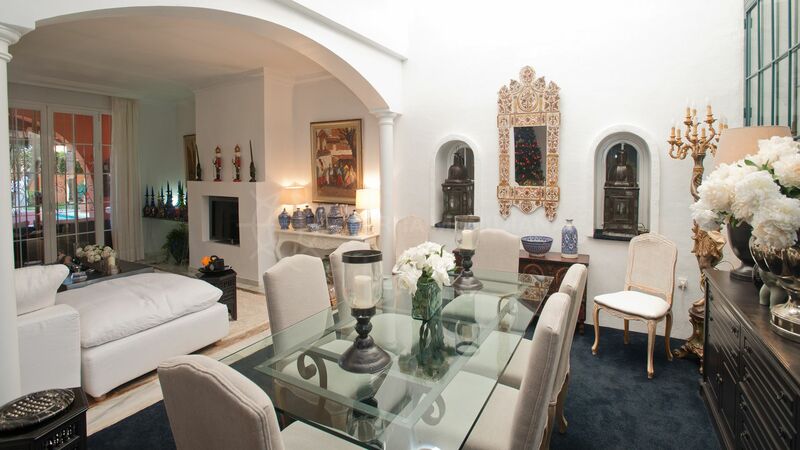 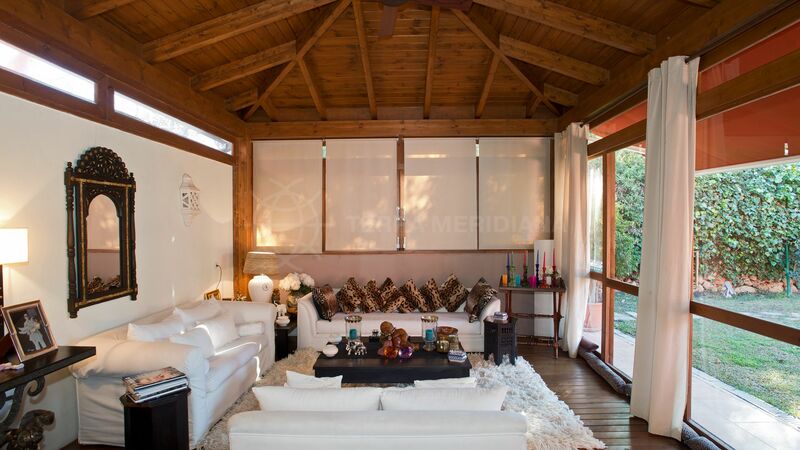 "Spacious property located minutes from Puerto Banus and Marbella." 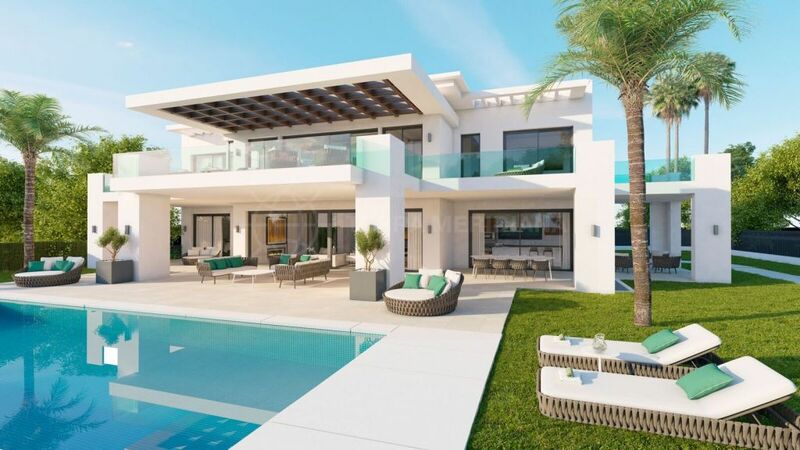 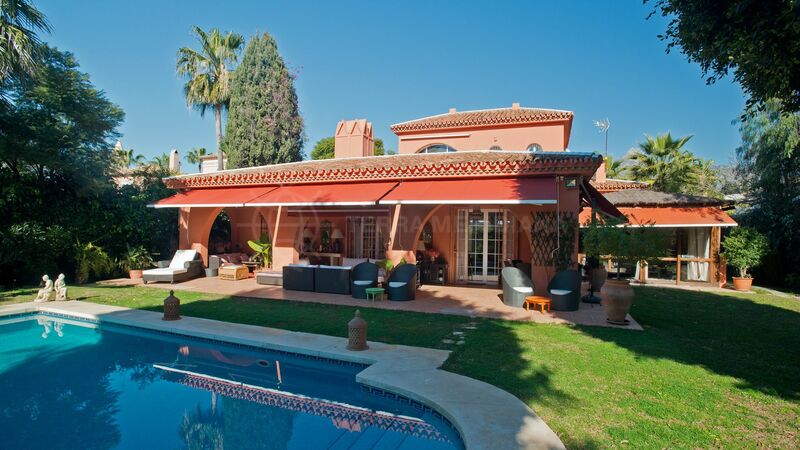 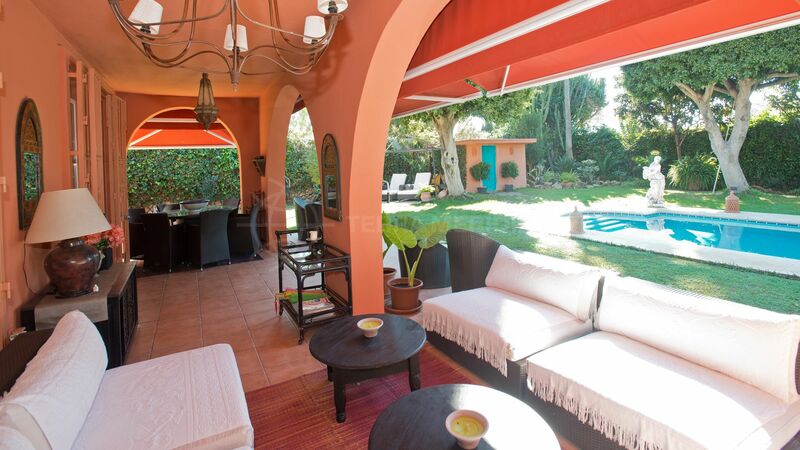 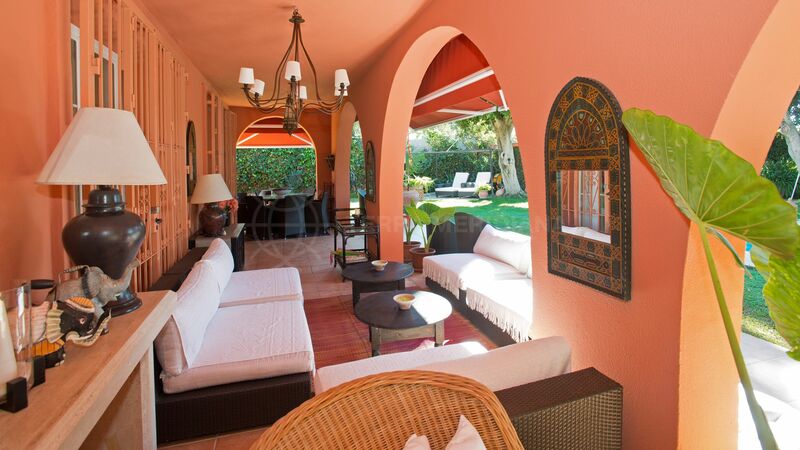 Please, send me more information about ref TMRV08134, Villa in Aloha, Nueva Andalucia or similar properties.